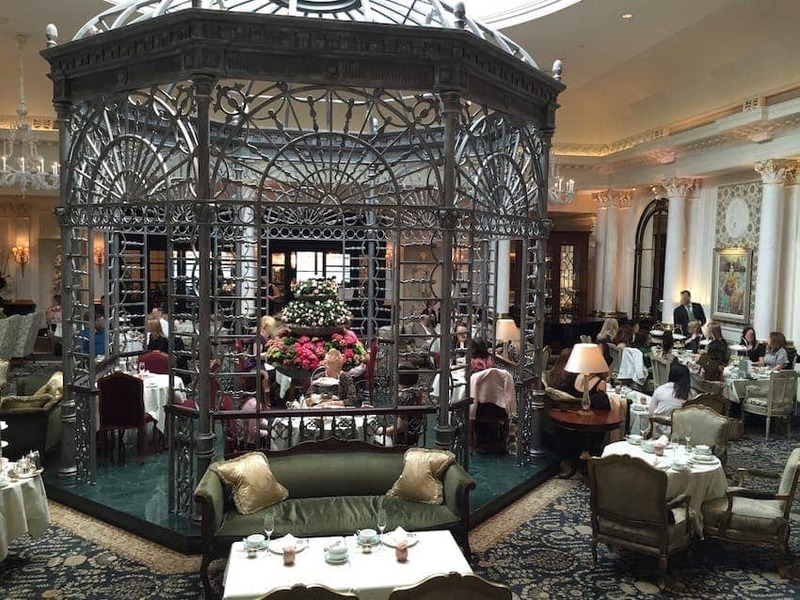 The elegant Thames Foyer in the historic setting of The Savoy Hotel is the venue for this world famous afternoon tea. A glass domed ceiling floods the elegant lower ground floor space with natural light and a pianist plays from a winter garden gazebo in the centre of the room. Guests can choose from a range of teas served with finger sandwiches, homemade scones and a selection of seasonal cakes and pastries.